So last week I wrote about my embarrassing little secret stash of unfinished objects (UFOs) and different works in progress (WIPs). So when is something considered an UFO and no longer a WIP? I’ve always wondered. Anyway….here are the other things that I dug up. Seriously, this girl has a problem committing doesn’t she? My current WIP. Another Picture Perfect baby blanket in Gryffindor school colors. Well it’s supposed to be at least. I do need to finish this one by the end of the week. More play food. This is for my niece who’s birthday is this month. I think I need to get moving if I want to give it to her for her birthday. 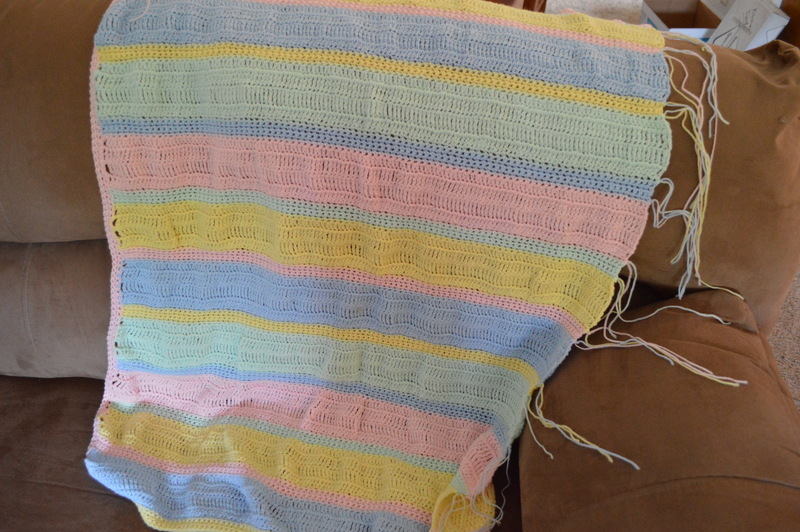 A very old baby blanket called a Peek-a-Boo Blanket I believe. I’m pretty sure I got the pattern off of the yarn label of some Lion brand baby yarn. 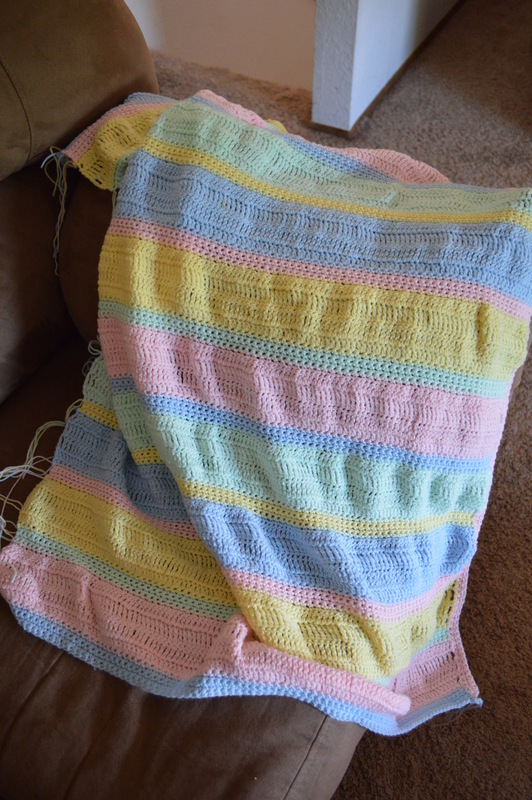 I just need to finish two sides of the edging but I ran out of yarn. Now the search through my stash to see if I can find something comparable. This one is at least a little more recent. 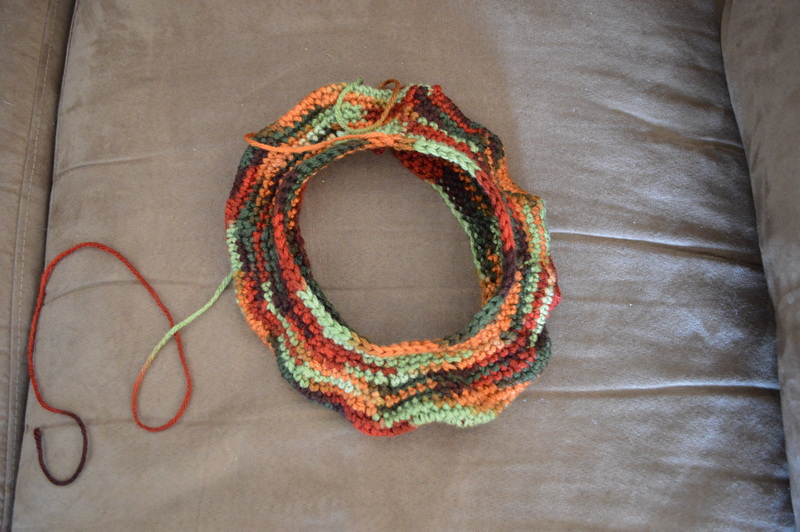 I think last fall I started this CAL for an autumn wreath. I just need to fill it and sew it closed and then crochet and add little accessories. Apple placemats to match the curtains in my kitchen. These are very old as well. 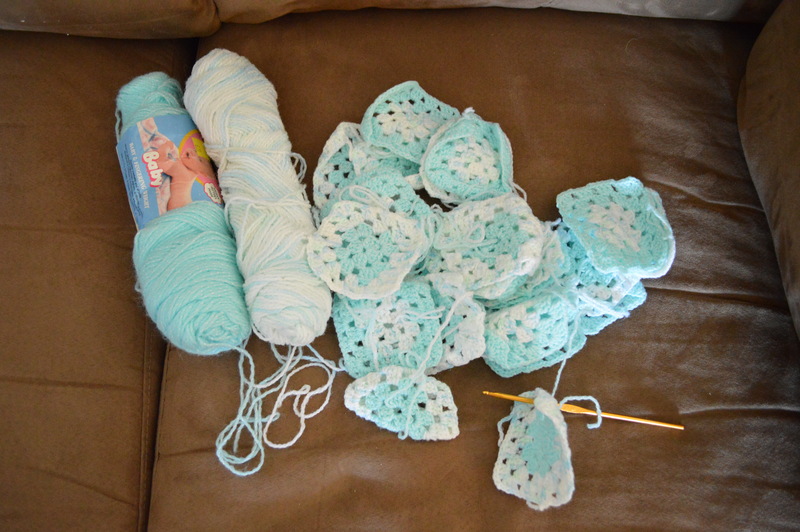 I have six done and all they need are ends sewn in…seeing a pattern here? I hate sewing in ends. This one isn’t too old either. 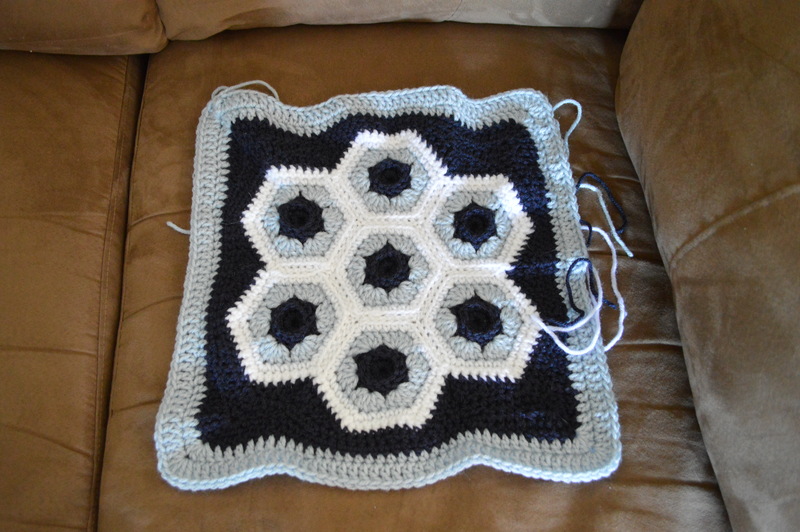 I’ve been fascinated by quilt look crochet afghans and thought I’d start out with this smaller one. Yeah, one inch grannies are no fun. Who knows when I started this one. Probably one time when I had no projects in mind and had some stash yarn to use up. This is old Lion brand baby yarn with the little silver thread running through it. Oh and look there’s one of my hooks. Another more recent project. 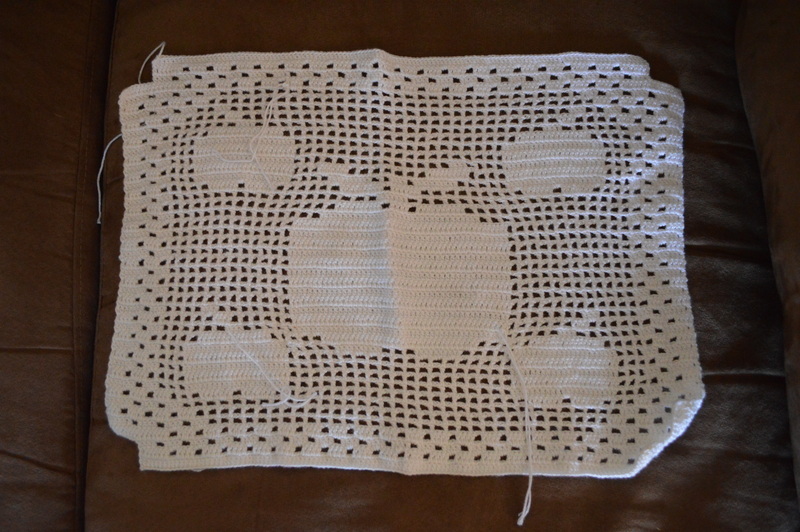 I was looking to make some sort of chair cushion and liked this 12 inch afghan square by Julie Yeager. So there we have the rest of my UFOs and WIPs. 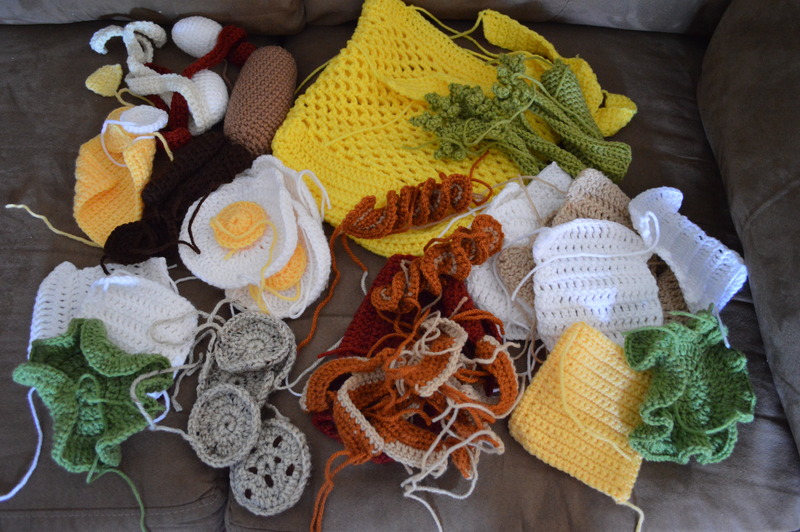 Wonder if I can get any of them done for Finished Object Friday. I think of UFOs as the ones that you have given up on. WIP I still remember who they are for. 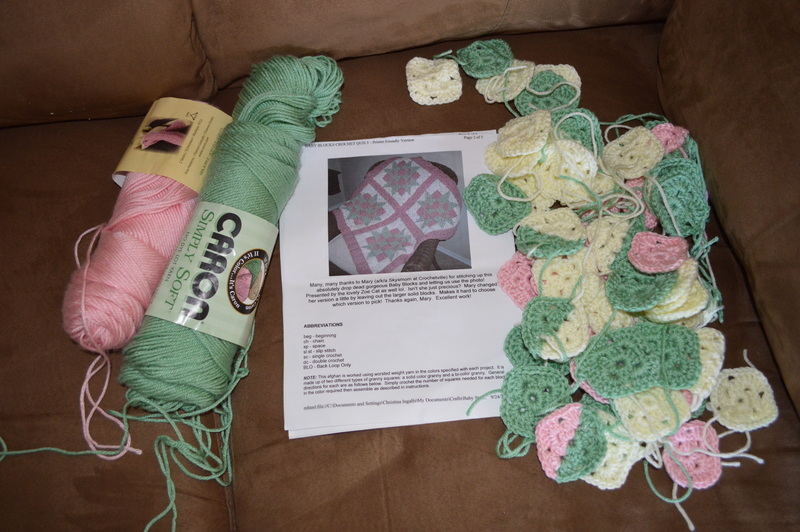 I keep my projects posted on Ravelry so that I can go back and remember things like hook size, pattern, yarn, etc. And sew in those ends, sister. You are so close to being done! That’s kind of how I look at it as well…thus the 20+ year UFOs. Lord knows who or what I had intended them for originally. I also use Ravelry now to keep track of my projects. It’s really nice to have pictures of the projects I’ve done. I’ve done so many in the past but I’d give them away before taking a picture and they are now only a vague memory. Sewing in ends, yep, gotta get it done. 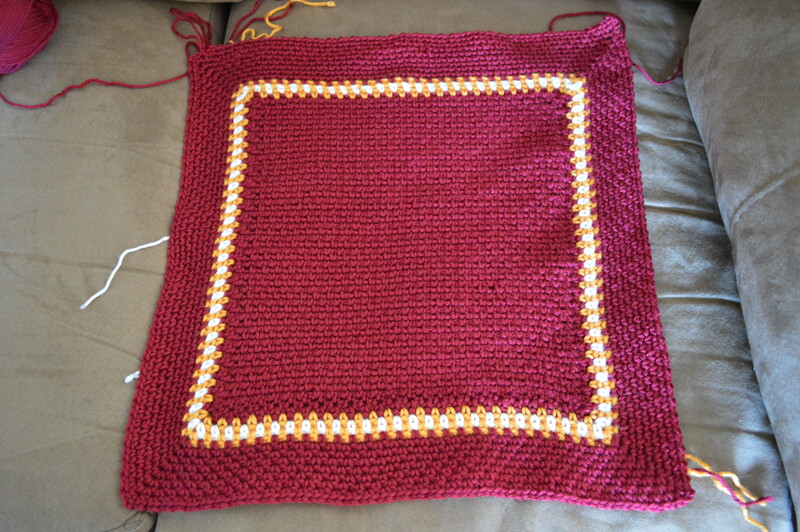 I only have a few days left to finish up the Gryffindor baby blanket first.